What all successful yogi entrepreneurs know! We just completed our first Yogi Entrepreneur workshop led by Bloom Founder Robindra Mohar. It has been an incredible journey for everyone involved. We have already seen and experienced major shifts for the participants in the course and we are looking forward to offering it again in the fall in Edmonton and possibly other cities. If you are from another city and would like to host it with us, get in touch through our contact page and connect. In Week 2 of the program we dove into what the ideal Yogi Entrepreneur mindset is and we thought we would share a few here today to give you a glimpse of what the program is all about. How to Balance: Yogi Entrepreneurs balances the watery flow of a yogi and quickness and urgency of an entrepreneur. We talk about slowing down the process of developing your business in order to understand what truly moves you, what excites your soul so that you can act and work from there. Presence: Yogi Entrepreneurs know the power of getting into the flow of life and being productive. Both take a level of presence that is not common ground in today's highly connected information age. By learning specific techniques to get yourself present, you will be moving through your days much more powerfully and in total alignment to your heart's desires. Proper Sequencing: Yogi Entrepreneurs understand that there is a beginning middle and end to every thing. There is a sequence to your yoga practise, there is a sequence to getting up in the morning, there is a beginning phase of your business, middle phase of your business and end of your business. Knowing this sequence in advance can help you optimize your days and the amount of energy you expend working on your business. There is a sequence of actions that will deliver you the results you seek that are in the total flow of life. 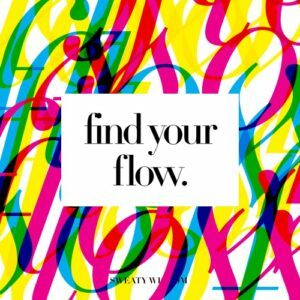 Learn how to tap into that flow at the next Yogi Entrepreneur workshop happening live in Edmonton this September 2016. Email robindra@itstimetobloom.com if you have any questions.